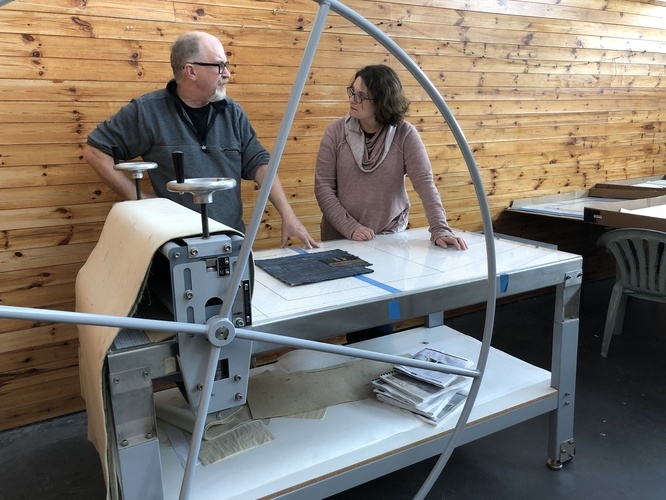 As a working artist who has taught painting and printmaking for over 16 years, I started offering Directed Study mentorships two years ago at the request of several students. I have been exhibiting since 1987 and have taught printmaking classes at the college level as well workshops in encaustic, drawing, sculpture and printmaking to beginning, intermediate and advanced artists. Directed Studies are personalized mentorships that meet your individual needs as an artist, providing direction, suggestions, assignments, and/or critiques as appropriate. Each artist brings their own unique talent and creativity to the table. I work to encourage and inspire you to push your work further and challenge yourself as an artist. I have really enjoyed working with a diverse group of artists and seeing their work grow and evolve over time. What does my Directed Study mentorship offer? You have the option of meeting with me by phone or in person, or via Skype. We cover what is working and where you might be stuck, and from that I offer ideas or assignments for future explorations. 3) it helps you develop a consistent body of work. 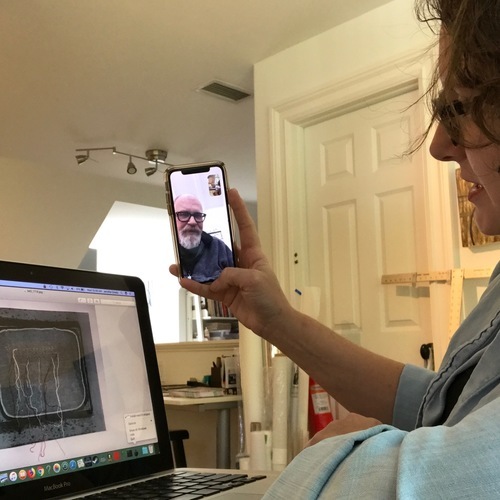 One thing that often happens when I am talking with an artist is that spontaneous ideas occur during our conversation and this helps us both discover new things about what the mentee is trying to convey. These conversations can lead to new discoveries about the work that help keep it fresh. - how to approach and work with consultants and galleries. I also cover many technical ideas regarding printmaking, painting, sculpture and drawing. My personal interest is how painting and printmaking overlap. Artists I have worked with have said that I am good at trouble-shooting and coming up with creative solutions when they reach an impasse. I can teach and discuss technique, but I try to help each artist focus on their unique content as well. I offer Directed Studies at $150. per month for either two 30 minute sessions or one hour long session. If you are interested in discussing the possibility of Directed Study, I’d be happy to chat.